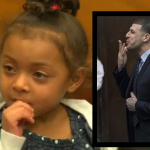 Judge Anita B. Brody has dismissed the lawsuit filed by the daughter of the late Aaron Hernandez. 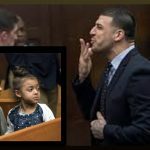 Hernandez, who was serving a life sentence for the murder of Odin Lloyd had been acquitted of a double murder days before he committed suicide in his prison cell on April 19, 2017. In a recent bid to have the lawsuit filed by the daughter of the late Aaron Hernandez dismissed, the NFL has, perhaps unwittingly revealed its strategy to kill future brain injury claims. 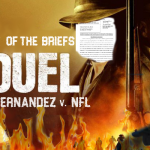 Last week I wrote about how the NFL is attempting virtual time travel to go back and rewrite the chronology of the Hernandez case. Now they seek to rewrite the lawsuit. As I’ve written previously, this, probably more than any other lawsuit is one that the NFL wants to stop in its tracks. Those who’ve been following the lawsuit filed on behalf of Avielle Hernandez, daughter of the disgraced New England Patriots tight end convicted of murder, who then was revealed as a tragic casualty of CTE, are already aware of the NFL’s attempts to rewrite her lawsuit to plead things she never asserted and dismiss the allegations she actually presented. In their attempt to box young Avielle (referenced as A.H. in some court documents) into the class of retired players eligible for settlement benefits, they now seek to impose their own timeline, viewing the past from the future. 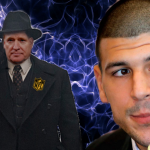 “Aaron Hernandez should be sitting in a therapeutic hospital receiving care for a profound brain injury. Instead, his ashes sit with his family. Suicide appears to be another result of C.T.E.” Those words were written in a New York Times op-ed authored by two law professors shortly after news of Aaron Hernandez’s severe Stage 3 CTE pathology was revealed in September 2017—news that shook the megalithic football industry to its core. As his daughter seeks justice, dueling briefs, filed on October 16 will likely determine her likelihood of finding it. On October 16, 2017 Shayanna Jenkins Hernandez filed a loss of parental consortium lawsuit in Massachusetts Superior Court against three NFL entities and helmet maker Riddell on behalf of her daughter, Avielle. Two potentially important court filings last week bring the case back into focus.